We begin the 2019 season with Spring Music Festival, featuring up and coming classical vocalist Omkar Dadarkar (April 21st), and famous santoor maestro, Padmashri Pandit Satish Vyas (May 12th). With these two special artists, we are offering the patrons a special packaged deal to attend both concerts for a reduced price. The combo deal is $40 per Adult, a savings of $10. We hope you can take advantage of this promotion and attend both excellent concerts. Please keep in mind that this promotion is valid till April 21st only. You may also buy each individual concert tickets at regular price ($20 and $30 per concert respectively). You can however take advantage of the best deal for the year, which is becoming a Benefactor Member for 2019. To understand the advantages of becoming a Benefactor, and sign-up, please click here. A disciple of Pandit Ulhas Kashalkar and nephew of renowned classical vocalist Vidushi Manik Varma, Omkar Dadarkar has gained immense recognition as a concert performer. At a young age, Omkar received a scholarship for classical music and as a result, he was groomed by Pandit Yashwantbua Joshi of Gwalior gharana. After training at ITC Sangeet Research Academy (SRA) in Kolkata, India as a scholar starting in 1999 under Pandit Ulhas Kashalkar, Omkar returned to ITC SRA as Musician Tutor in 2010 and has been promoted to the position of Guru of the Academy since 2017. Omkar's melodious voice with embellished tans has established him as a brilliant performer. Omkar will be accompanied by Milind Kulkarni on the harmonium and Sanjay Deshpande on the Tabla. 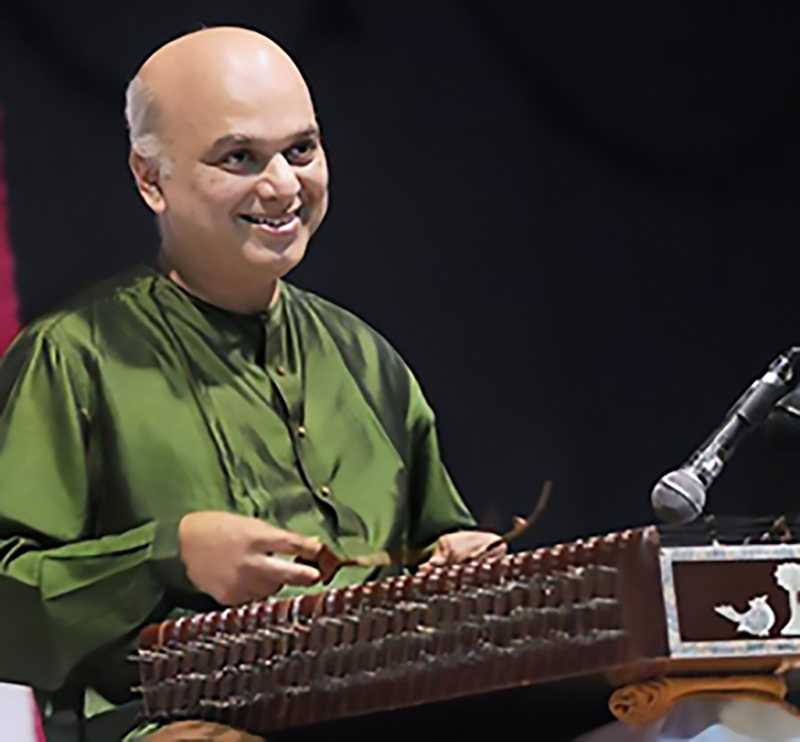 Padmashri Pandit Satish Vyas, a renowned Santoor Maestro of India blessed with a formidable musical background and training, thanks to both his father and his guru, has built an outstanding reputation as a soloist on the Santoor (hammered dulcimer). His first fortune was to be born the son of Padma Bhushan Late Pandit C. R. Vyas, one of the most respected vocalists on the Indian music scene, a fine and highly knowledgeable performer who was the young Satish's first teacher. His second was to be accepted as a disciple by the great Padma Vibhushan Pandit Shiv Kumar Sharma - a man so identified with his instrument that classical Indian santoor playing is unthinkable without Shiv Kumar Sharma's contribution to the art. 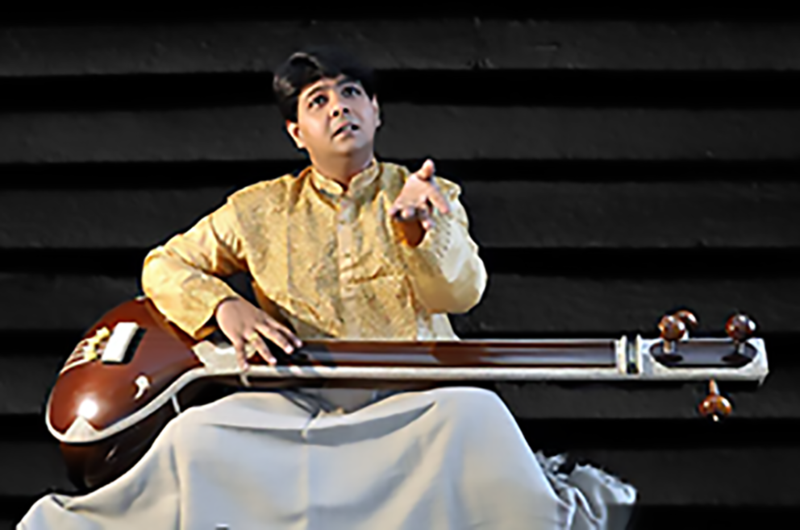 Satish Vyas is currently perhaps the best known and the most accomplished classical santoor player after Shivji himself.